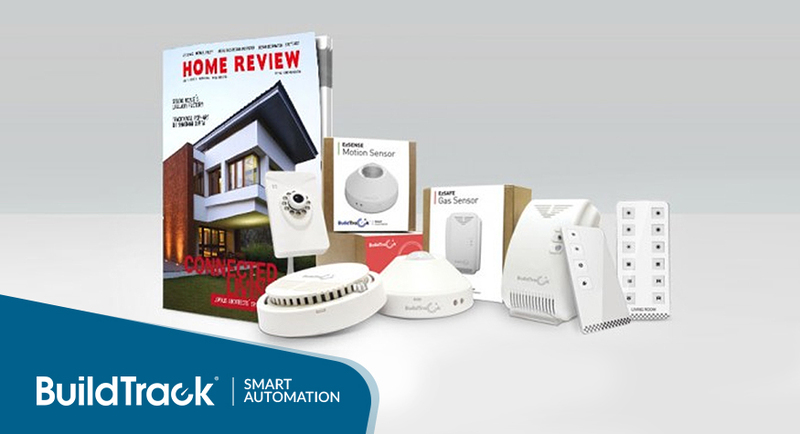 A feature on BuildTrack Smart Automation Products has been published in Home Review Magazine March 2014 Issue. The article published under the “Security and Automaton” section focuses on the Smart Control Systems that integrates manual functions into a digital interface or remote control. Home Review is a leading design magazine by Marvel Infomedia Pvt. Ltd that is devoted to architecture and design. With an emphasis on profiling the latest in interior trends, Home Review aims to be a source of inspiration and a reference guide for the design conscious. The article showcases BuildTrack products like, Remote Control Switch (EzRemote), Touch Switch (EzSwitch), Smartphone Control (EzControl) etc. EzRemote can be used in any home to turn ON/FF lights, fans etc., using a remote control without replacing the existing switches. EzSwitch is an elegant touch switch solution that can be operated manually or through remote control. BuildTrack EzControl allows offers its users the unprecedented facility to operate the apartment through smartphone/tablet from anywhere. Other products like motion sensors and curtain controls are also mentioned in the article.